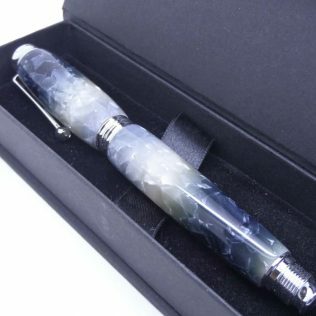 A beautiful watch parts fountain pen handcrafted in my UK workshops using traditional tools and techniques. 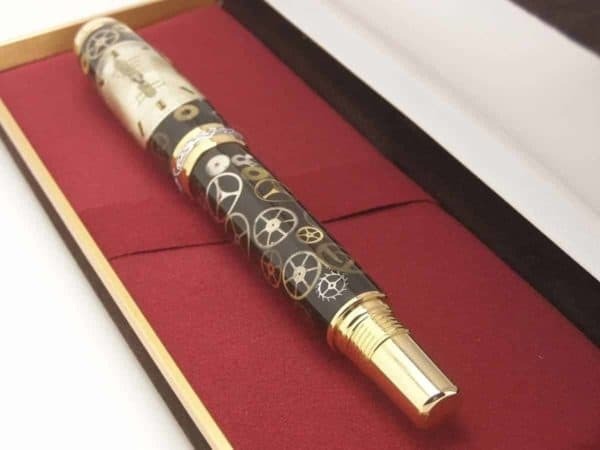 This fountain pen has a high-quality gold-plated trim with chrome accents to the centre band and the top of the pen cap. 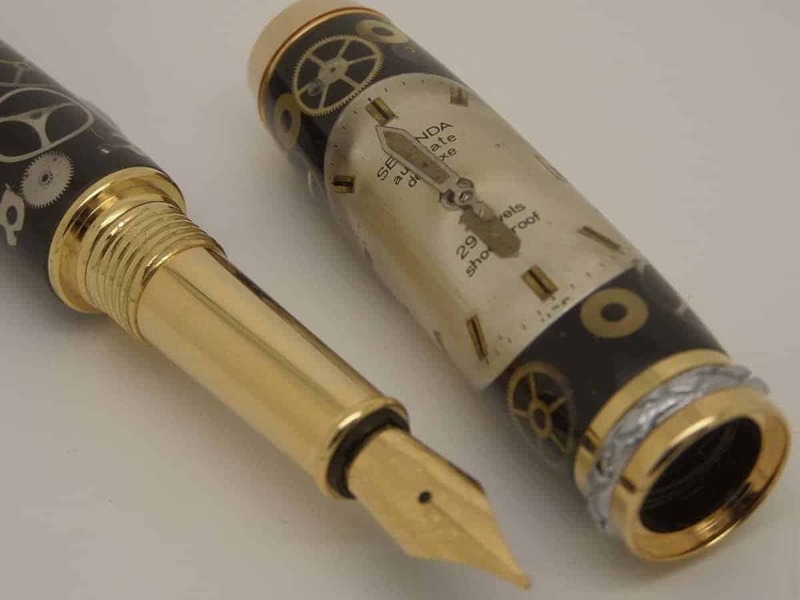 The gold and silver coloured Sekonda vintage watch parts compliment the black base colour. 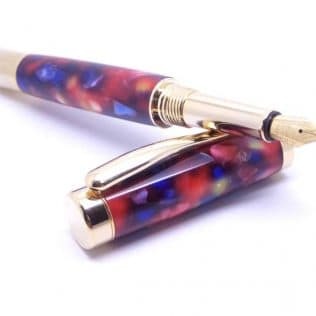 The beautiful pen has a posted cap meaning the pen can have the cap screwed to the top of the pen if you so wish. 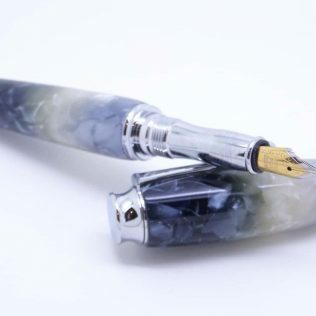 Fountain pens are ideal writing instruments and this Aphrodite pen is no exception with a good quality medium point nib. 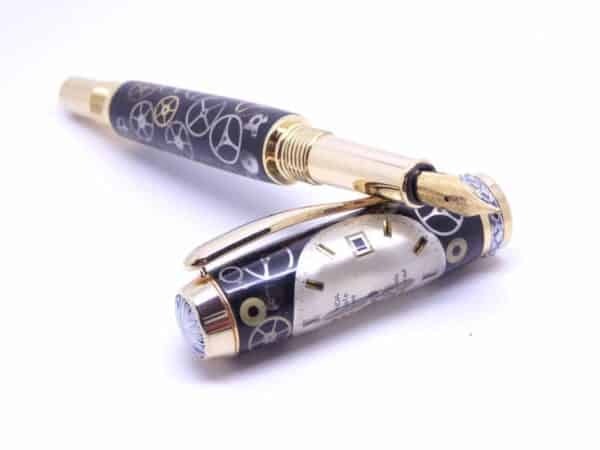 The pen has an ink converter pump and an ink cartridge, so you can make your own ink choice. 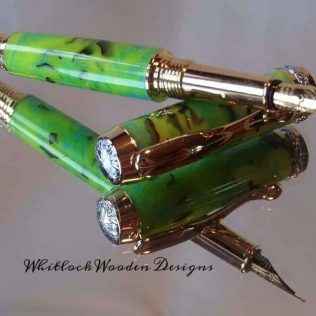 This unusual pen range is ideal for unique handmade gifts. 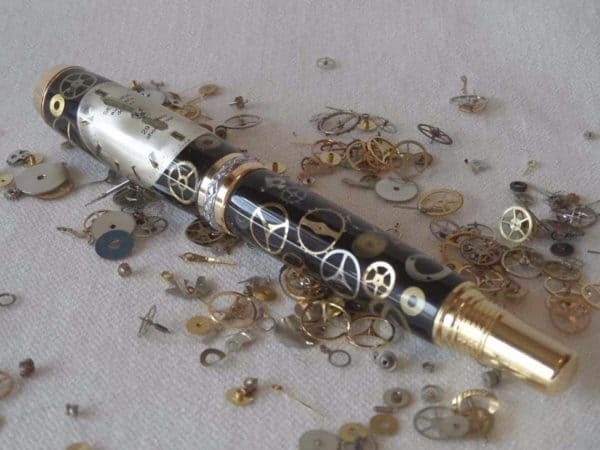 A lot of work goes into making a watch parts pen, stripping the watches for the parts, arranging the design and mounting the cogs. Care needs taking hand turning the blanks with lots of time already invested. 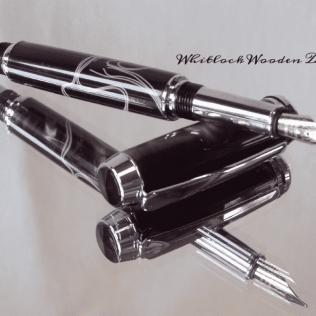 Once shaped it needs polishing to 12000 grit for a polished and durable finish. 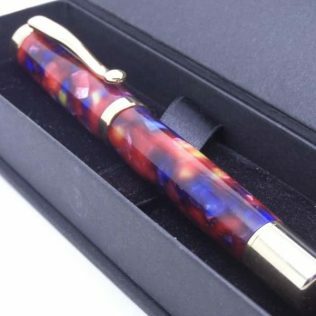 Every fountain pen gift ideas come in a presentation box as standard, as this pen is so special it has an upgraded pen box. This watch parts pen makes unique handmade gifts for him at Christmas or Birthdays.